In Iceland, imported mink escaped fur farms and feasted their way through the food web—until nature bit back. There’s more than one way to find a mink. But no way, it turns out, is particularly easy. On the coastal cliffs of Búðir, on Iceland’s western Snæfellsnes Peninsula, it’s raining sideways. Gusts of wind, measured in meters per second, blow well over 15, limiting our forward momentum. Up ahead, Snorri Rafnsson clambers over clumps of long, windswept grasses that form a spongy mat over a maze of lava rock crevices. His six dogs have picked up the pungent, earthy scent of an American invader. In an all-out frenzy, they pile on top of each other and kick up dirt, in hot pursuit of the mink. “He is around here,” says Rafnsson, standing authoritatively over his hunting dogs, camouflage-print shotgun in his backpack and an unconventional tool to push the mink out of its hiding spot at his side—a leaf blower. Long dark hair under a black, flat-brim hat and a coarse beard complete his carefully cultivated modern Viking persona. Smartphone in hand, he narrates the chase for his thousands of Snapchat followers as he moves across the landscape with a purposeful stride. Rafnsson, who considers himself a full-time mink hunter, spends his days braving the harsh elements with his cadre of canines, picking off mink one by one. “The mink is a killing machine,” Rafnsson says with reluctant awe, recalling how mink left 300 dead puffins strewn across the beach on a nearby island in a mess of blood and feathers. A mink doesn’t just take one puffin like a fox, he explains, it kills everything. Rafnsson sees it as his duty to protect his country’s vulnerable bird colonies. Last year alone, he killed between 400 and 500 mink. Farmers often call on him, he says, to protect the eider ducks whose soft feathery down they collect in their fields. A single mink can wipe out a whole colony. “Some old people say they are like vampires. They drink blood,” Rafnsson continues. No, in his mind, they are athletes, always practicing and honing their skills. Some four meters below us, the tempest churns the ocean. Rafnsson revs the leaf blower, directing it into the mink’s hiding spot. His dogs are growing frustrated, their enthusiastic digging waning by the minute; despite their best efforts, the mink has retreated deep into the lava labyrinth where they cannot follow. It didn’t take long for some of the captives to escape their factory confines and lay siege to the country’s coastline and wetlands. With little to limit the mink’s numbers, the population of the semiaquatic mammal, in the same family as badgers and weasels, ballooned. While Iceland hosts nine terrestrial mammals, only one—the native Arctic fox—is a predator. So when the American invader arrived on the scene, it doubled the number of four-legged threats to prey. By coastal cliffs, mink plucked seabirds from nests they had built out of the reach of foxes. And near rivers and creeks, mink built dens to feast uninterrupted on a plethora of Arctic char and salmon. In 1939, Iceland’s federal government established a bounty system for mink which remains in place today. A law shortly followed that deemed all mink should be eradicated. It required all local authorities to employ at least one mink hunter in their communities. Hunters pocket 3,000 Icelandic kronur (roughly US $28) for every mink tail turned in—with bonuses for pregnant or lactating females—and are compensated for their time at an hourly rate. Yet the rollout of the bounty system failed to quell the invasion; hunting statistics show that the mink population kept on increasing as the animals bred prodigiously in the wild. Though fur farms continue to operate, researchers believe Iceland’s feral mink are primarily descended from the first escapees in the 1930s. Where mink were found, Iceland’s Atlantic puffin, common eider, and black guillemot colonies shrank. In 1994, the government admitted defeat and gave up its goal of total eradication. Municipalities were still required to have a hunter, but the new goal was simply to reduce the mink’s negative impacts. Then, around 2003, something changed. Though bounty hunting efforts had stayed status quo, the mink population was suddenly in rapid decline. As naturalists and fishermen celebrated, scientists mounted another hunting effort—not for mink, but for answers. In under a century, the invasive animal had gone from hostile fugitive and unbridled killer to victim of an unknown executioner. The mink, which once seemed impervious to the ecological rules that governed Iceland’s food web, was now caught in the web’s undoing. Whatever mysterious force it was reckoning with could give wildlife managers the opportunity to finally gain the upper hand against the intruder. In the fragile ecosystem of an island, where animal populations are isolated and species diversity tends to be low, small environmental tremors can quickly become seismic shifts, knocking down victims all along the food chain—whether native born or not. While mink have abused puffins and other seabirds for decades, over the past 15 years the bird populations have also been sucker-punched by climate change. Ocean temperatures around Iceland have been rising, with warmer waters stunting the growth of the sand eel, a critical food source for the millions of puffins that forage along the country’s shores. The loss sent the puffin’s reproductivity into a tailspin. For more than a decade, puffins have experienced almost complete breeding failure in the southern half of Iceland, including in the world’s largest colony in the Westman Islands. The invaders have also been producing fewer offspring in the wild. Scientists, who rely on hunting statistics to estimate the mink population, believe mink declined 60 percent between 2003 and 2015. The easy assumption would be that mink are failing directly because of seabird loss. Yet in nature, cause and effect is rarely a tidy equation: seabirds are not a critical food source for most mink, says Róbert Stefánsson, a biologist at the West Iceland Nature Research Center, who has been studying American mink in Iceland for more than a decade. Although the two species have fluctuated together, it’s more likely they’re suffering in tandem from changes to the marine food web. “We don’t know the details, since the food web of the North Atlantic is extremely complex,” Stefánsson says. At the very base of the web, the loss of zooplankton may also be affecting fish species that mink have dined on for years, effectively robbing mink of their key food sources. Stefánsson began receiving animals at his lab in the late 1990s. Before 2003, the carcasses indicated that the growing mink population was in good health; after 2003, the bodies were much skinnier, he says. When his lab analyzed stomach contents between 2001 and 2009, he noticed a big diet change—mink were consuming less food overall and the food they were eating, such as sea stars, was less nutritious. 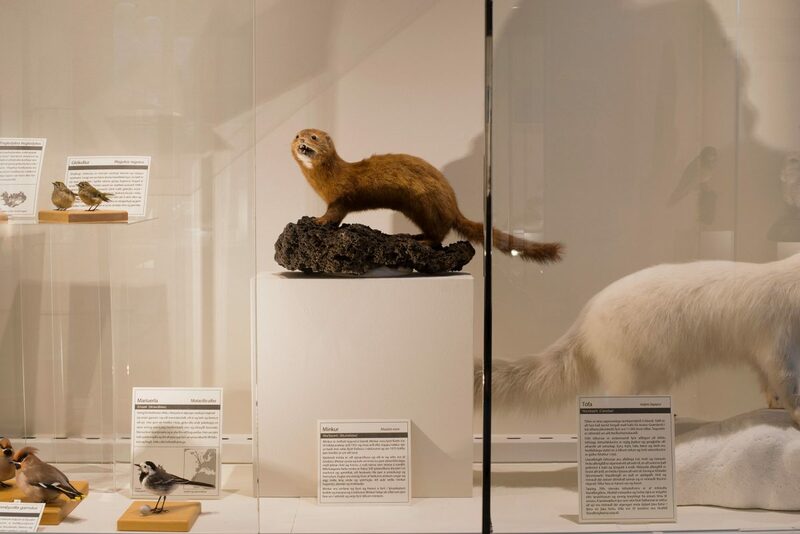 Plus, Arctic foxes, the mink’s only real competitor, rebounded significantly from historic lows in the 1970s after the government rescinded legislation that forced property owners to poison foxes to protect livestock. Some people theorized that foxes had grown so abundant they were harassing mink or pushing them out of their habitat. However, after 2010, the fox population began to decline, too, leading some to question whether the unseen force affecting mink was now hurting foxes. Thus, Stefánsson won’t rule out new diseases, parasites, or pollutants as factors in mink decline either. Mink had managed to slip beyond fur farms and wire cages, but there would be no easy escape from the island’s vulnerable ecosystem. “It’s important to follow invasive species and try to understand what’s controlling their population,” Stefánsson says. Then, the country can better plan efforts to control mink and prevent native wildlife from experiencing a similar demise, he says. 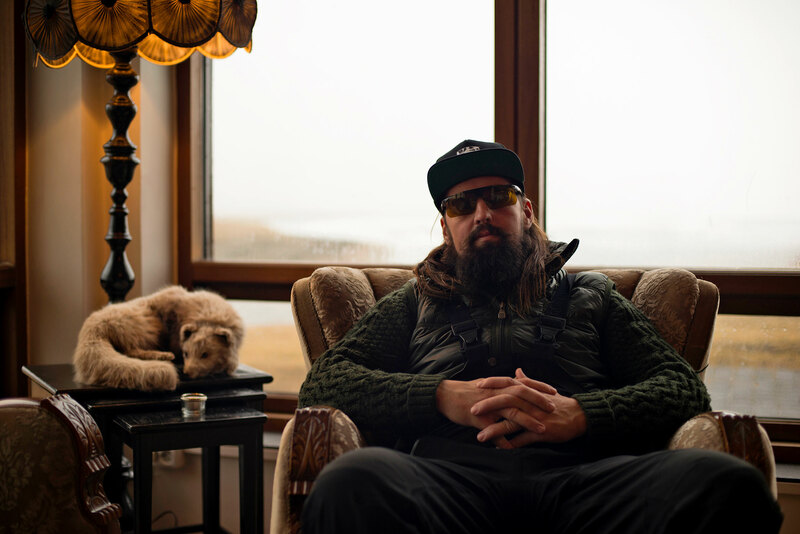 It’s unlikely any Icelander is more enthusiastic about mink than Reynir Bergsveinsson. 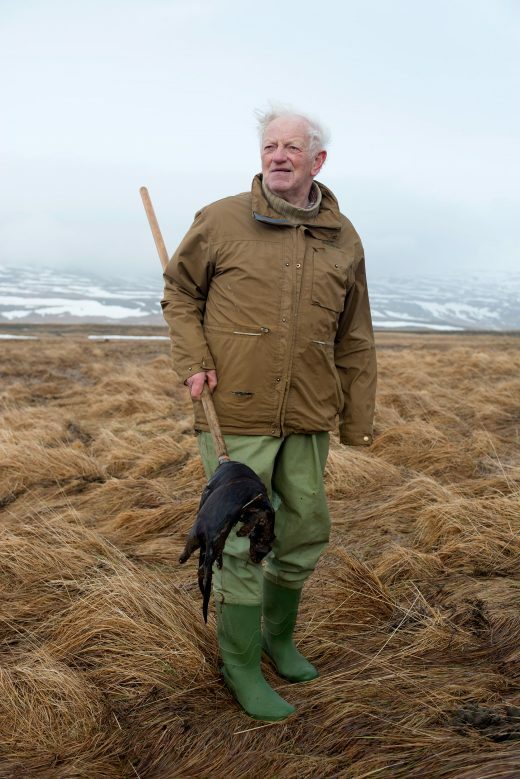 The 79-year-old has dedicated his life to patrolling the nation’s wetlands for the trespassers, killing more than 6,000 mink in traps over his lifetime—which amounts to roughly $168,000 in bounty money. He uses photos and newspaper clippings to carefully document his kills in a scrapbook that he often carries with him. At the behest of the man who owns the salmon fishing rights here, Bergsveinsson deployed one of his custom-designed mink traps a month ago. Waist-deep in the cold water, he takes a long wooden staff and inserts it into the trap—a submerged concrete cylinder, no bigger than a cat crate, with a metal gate and narrow circular opening that’s barely wider than his fist. He has 600 others like it around the country and sells them to supplement his earnings from mink hunting. This trap doesn’t need to be baited to lure mink, he explains. They willingly swim in, their small bodies pushing open a hinged gate, eager to explore the foreign object in their territory. But once inside, the gate can’t be opened again, preventing the now-panicked mink from escaping. After a few moments of fishing around with his staff, Bergsveinsson triumphantly produces the waterlogged body of a male mink and lays it on the grassy bank. Then, unexpectedly, he pulls out another soggy corpse. He explains that’s not uncommon: mink are so overcome with curiosity they’ll want to see where their brethren have disappeared to. He slings the two pathetic animals over his staff and makes his way back to his truck, where he clips off the tails with a pair of metal pliers and adds them to a mason jar full of salted mink tails. The furs, at this stage, are worthless—too damaged by months marinating in dirty ditchwater. But the tails are used to confirm the kills; he’ll take them to the county government for his bounty. Exterminating mink is more important in some areas than others, but the national government hasn’t focused efforts in those places, instead taking a one-size-fits-all approach to the problem. Following the economic crisis, which began at the end of 2008 in Iceland, some municipalities also capped payouts by setting a maximum quota on the number of mink tails they would pay for. This provided little incentive for hunters to pursue mink beyond the cap—just when the mink population was crashing and a big hunting push might have made a significant difference. Indeed, bounty systems have an inherent flaw: as the target species declines, it’s harder for hunters to make a living. Though there’s no indication Iceland’s hunters have been so calculating, Stefánsson says, it’s illogical from an economic perspective for them to want to wipe out mink—and with them their potential for profit—entirely. 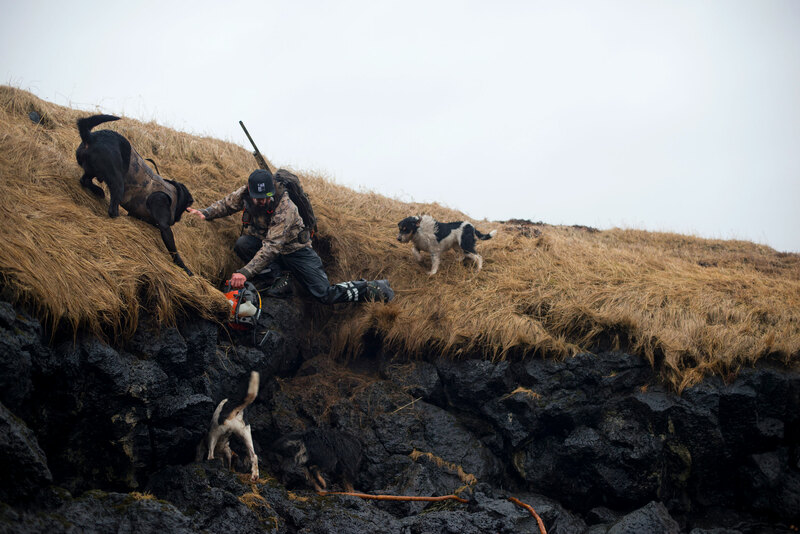 As mink declined in Iceland, hunters turned to other, more profitable, species and pursuits. As a result, Iceland has failed to galvanize enough support to deal the mink population a lethal blow while it’s down. Though the Icelandic government recently bumped its budget for mink control up by a third, the country may have missed its opportunity—there are already accounts from hunters that mink are on the rebound. Bergsveinsson, for example, says the number drowning in his traps has increased over the past two years. Stefánsson has heard such claims from others, too. “If that’s true, that’s interesting because the last two years have been slightly better for seabirds as well,” he mulls. Last fall, Stefánsson renewed calls for hunters to turn in their mink carcasses so he can continue to study their body condition and fertility to determine if there’s been any change in the population. Rafnsson, meanwhile, is as committed to his calling as ever. This spring, he staked out at Hellissandur, one of the largest Arctic tern colonies on the island, to prevent mink from pillaging the nests. Then he traveled more than 600 kilometers to the east fjords, where hunting mink is easier; there is no tunnel-ridden lava with its boltholes for mink to thwart his mission of protecting his country’s wildlife. Hunting alone will never be enough to completely push out the now-naturalized animal. But Rafnsson doesn’t need to get all the mink—just enough. Enough that they’re manageable and beaches are no longer littered with hundreds of bird carcasses. If he can accomplish that, maybe climate change will eventually take care of the rest. 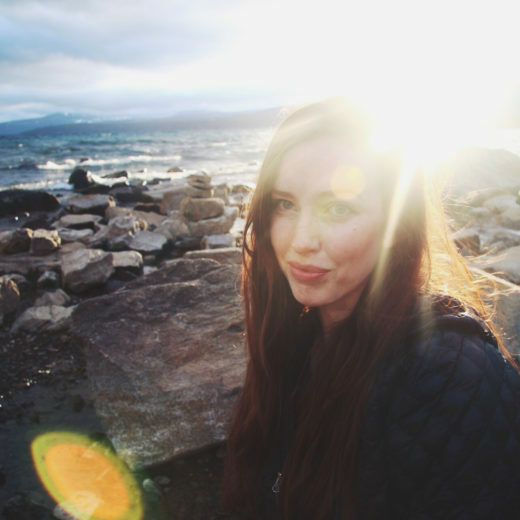 Cite this Article: Gloria Dickie “The Mysterious Decline of Iceland’s American Invader,” Hakai Magazine, Jun 6, 2018, accessed April 23rd, 2019, https://www.hakaimagazine.com/features/the-mysterious-decline-of-icelands-american-invader/.